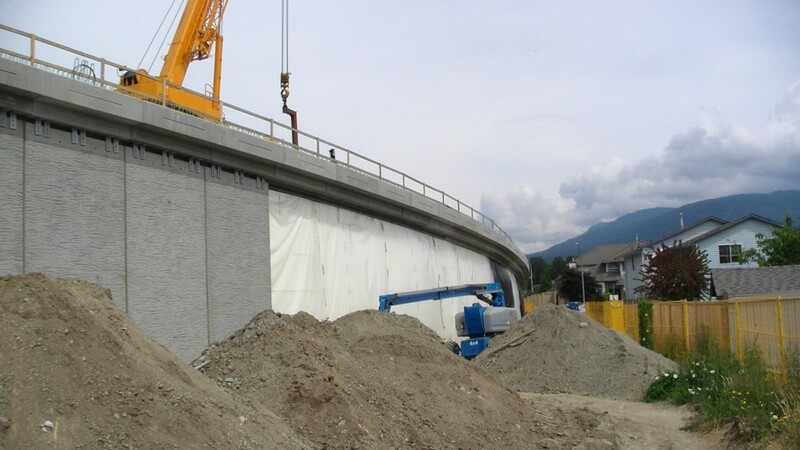 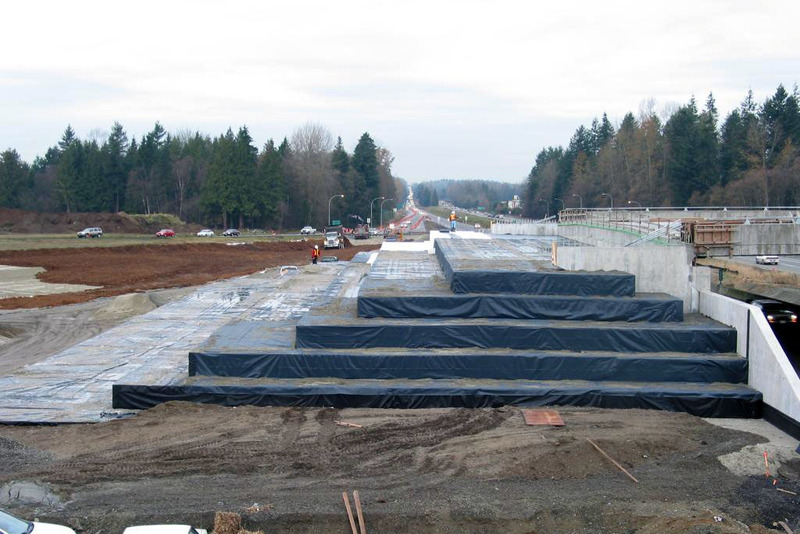 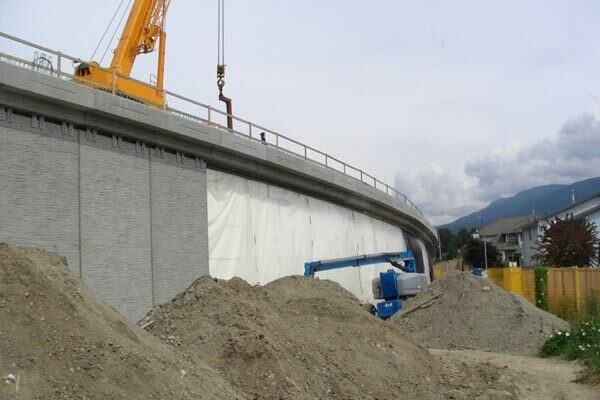 Geofoam is a geo-technical filling material used as an alternative to other fill materials, as a soil stabilizer, and in many other structural applications. 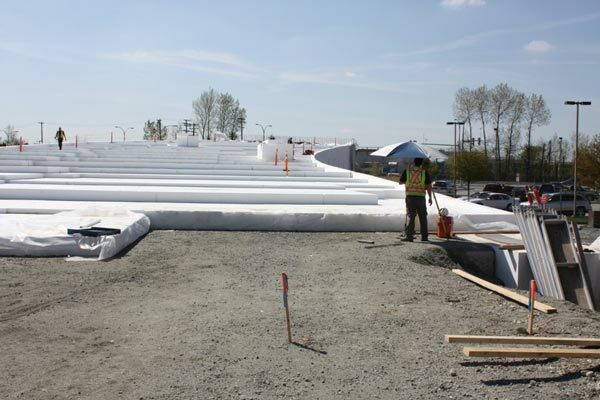 Due to its ultra-lightweight, EPS Geofoam is cost effective by usually eliminating pilings, surcharging, preloading, and staging that's often necessary with other materials. 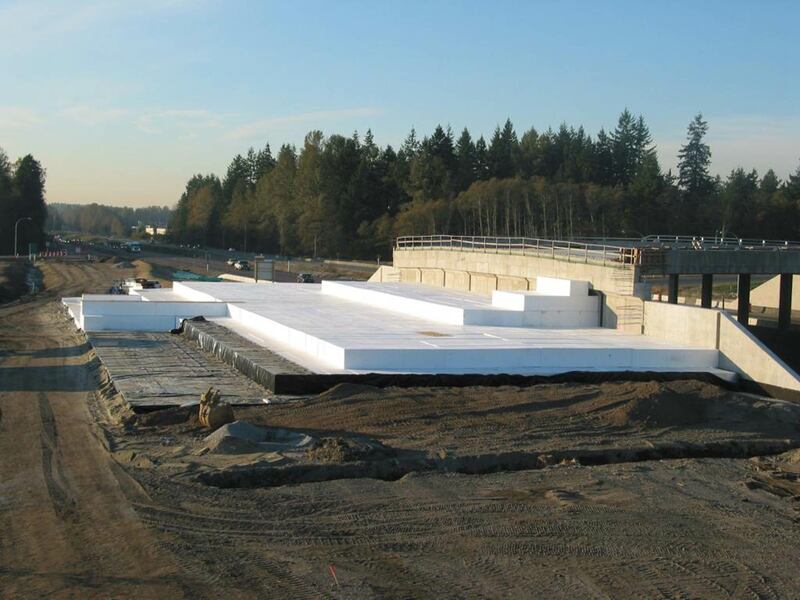 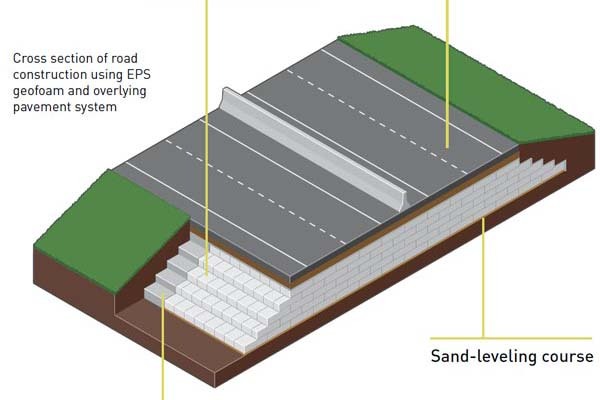 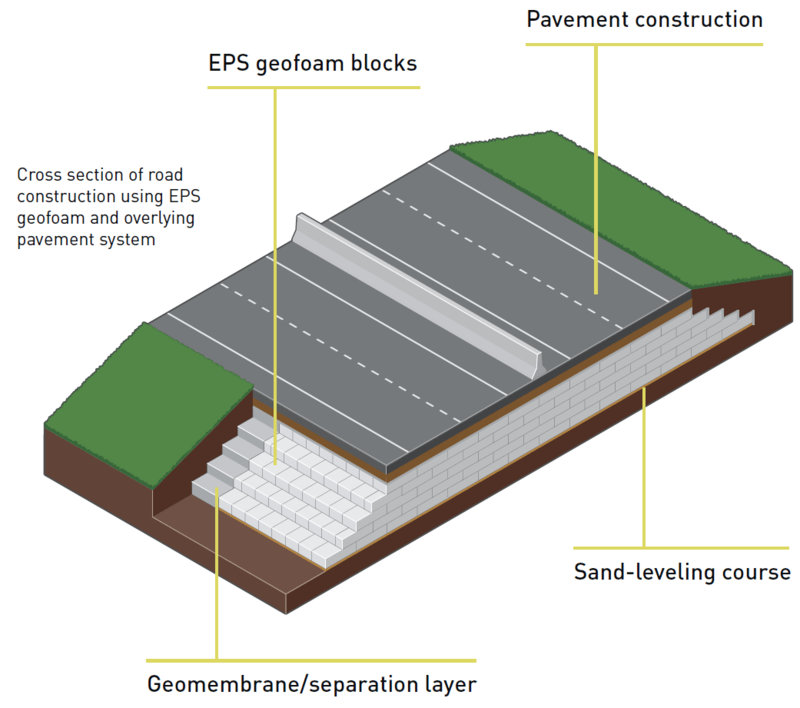 With predictable performance and outstanding durability, EPS Geofoam resists decomposition, moisture and many adverse conditions, including freeze-thaw cycles, while providing excellent compressive strength over very long service periods. 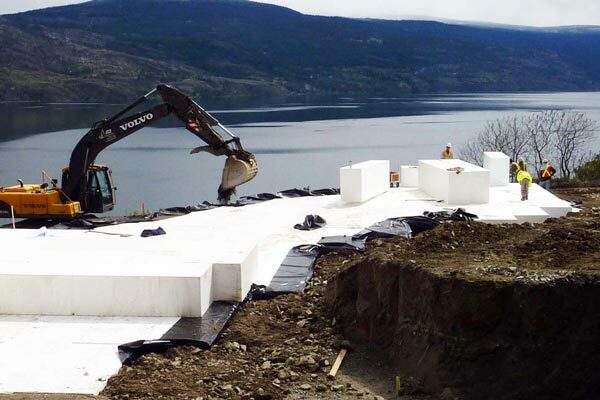 Geofoam is upto 160 times lighter than soils and fast to install even in the rain. 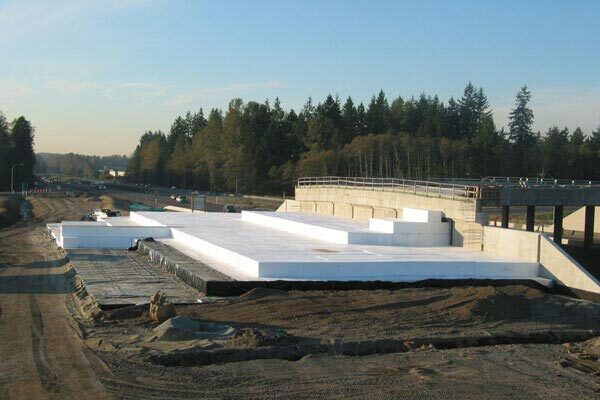 Geofoam blocks arrive at the jobsite ready to place, factory-cut to size per approved drawings. 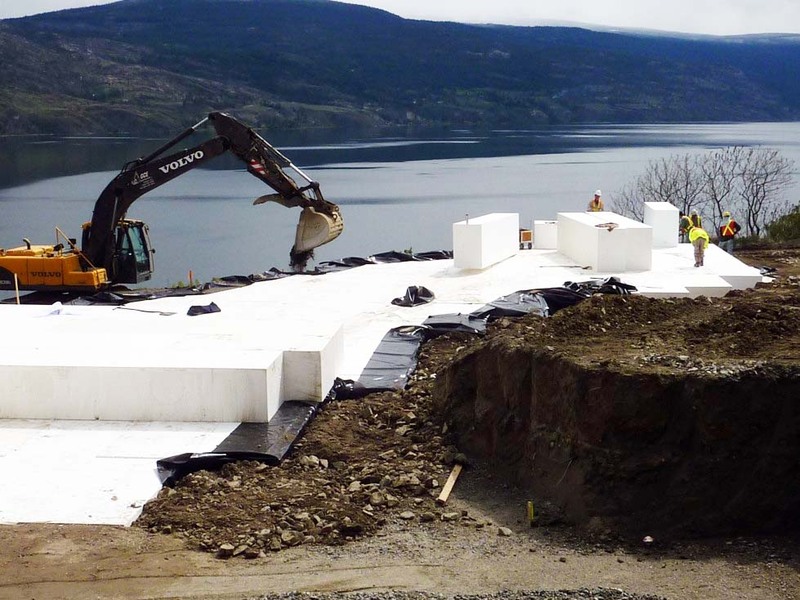 If additional fitting at the site is required, it is easily accomplished using portable hot wire cutters. 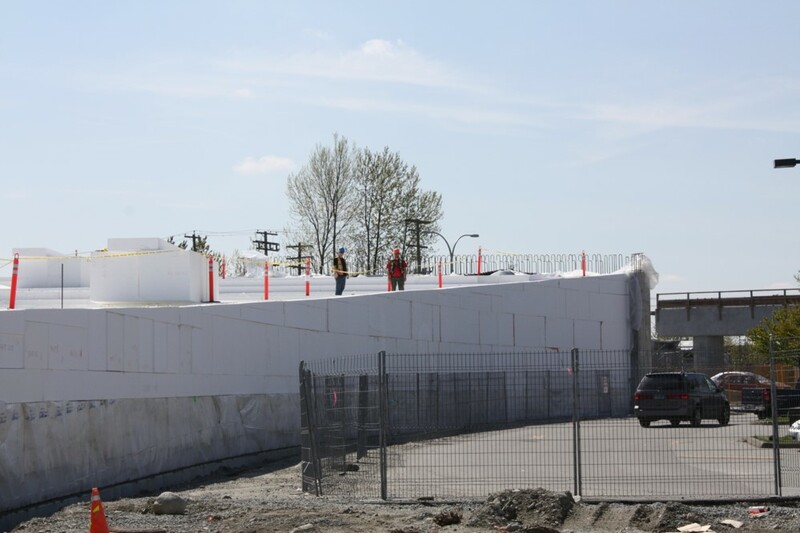 The standard full-size blocks are 48½" x 48½" x 194" (1.23m x 1.23m x 4.92m). 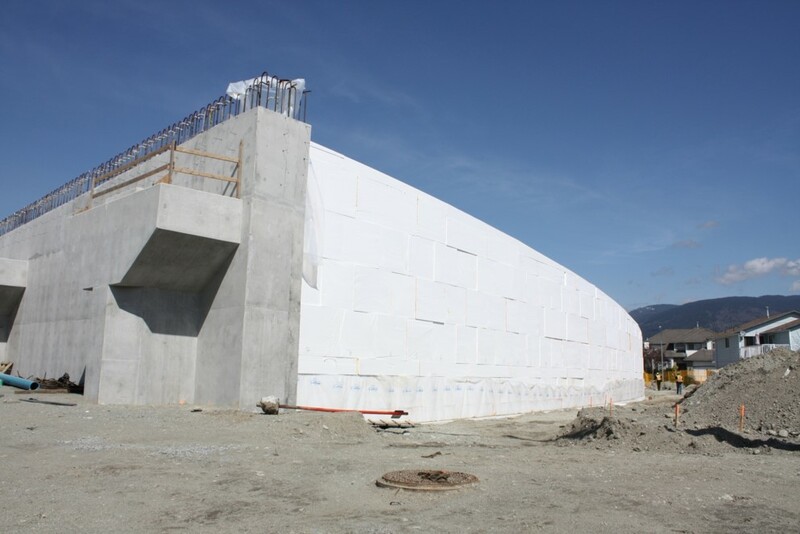 EPS is a closed cell, rigid foam that uses Air as main ingredient.